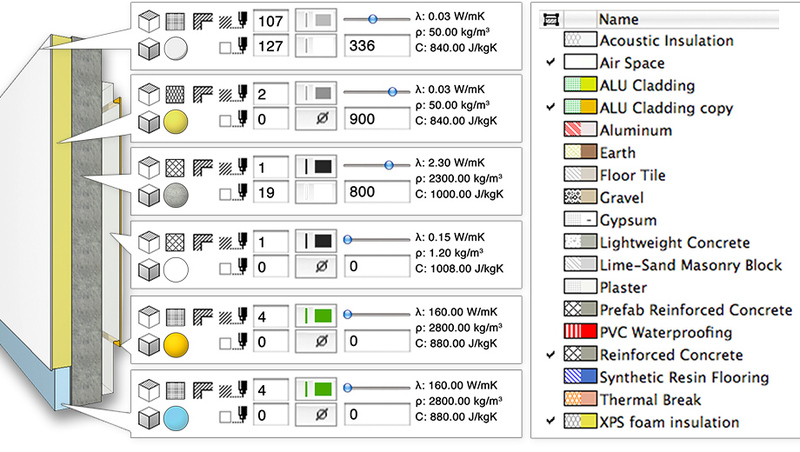 ArchiCAD 17's brand new Priority Based Connections and other modeling functions, OPEN collaboration with IFC support, overall Performance Imporvements and the full range of sophisticated 2D / 3D editing enhancements – and many more – make ArchiCAD STAR(T) Edition 2014 the ideal tool of a broad user community. The full features set makes the STAR(T) Edition 2014 workflow a very smooth one from the very first mass study to the final documentation. 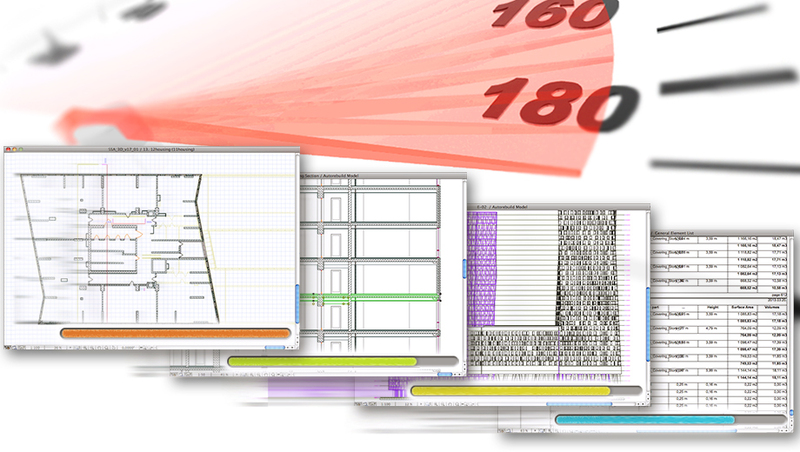 To learn more about the new features and compatibility details of ArchiCAD STAR(T) Edition 2014, download the Version Comparison Chart. The brand new Priority Based Connections put a real ROI on the work invested in the creation of the Building Information Model, by automatically providing construction documentation level sections and details. New, intelligent building materials ensure correct graphical representation of materials in sections (cut fills), and element surfaces in 3D views. This not only simplifies the user interface, but also allows the same material to be used consistently throughout the design project. 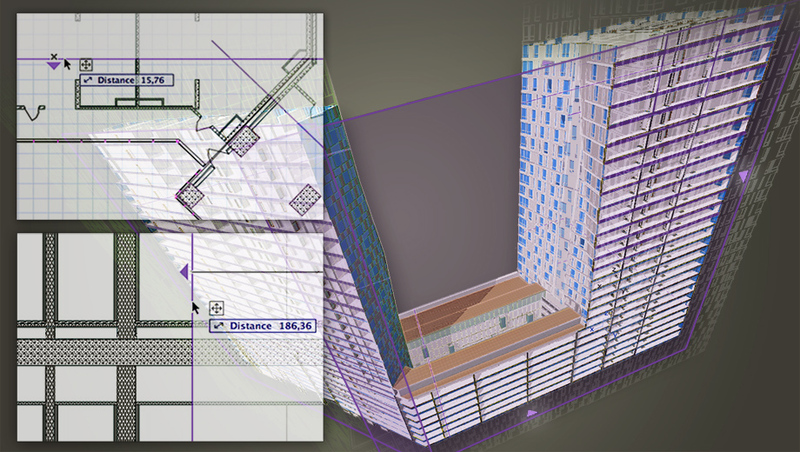 ArchiCAD 17 supports the creation and manipulation of large, complex models by featuring industry-first "Background Processing Support" for faster generation of complex model details. Optimized Scaling of Multiple-core CPUs and boosts performance on large, complex models. Improved Central Graphics Unit Performance makes 3D navigation and OpenGL even smoother. 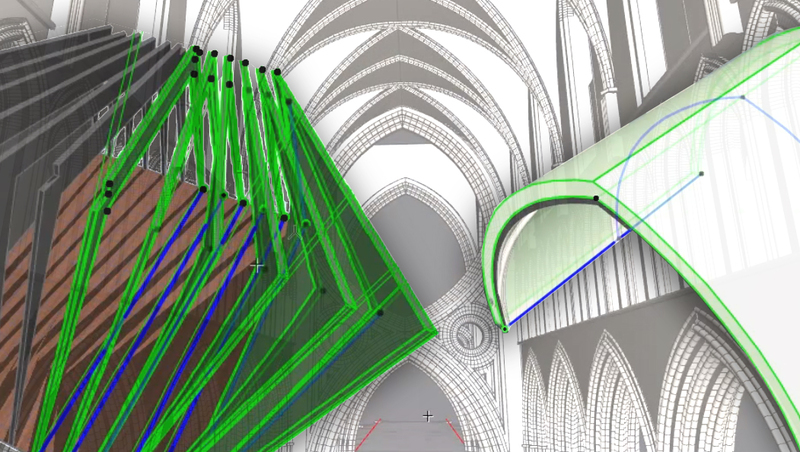 The MORPH® Tool introduced direct modeling capabilities into the native BIM environment, allowing element creation with any custom geometry in an intuitive, graphical way. The latest improvements help designers at the conceptual design and mass modeling phase. 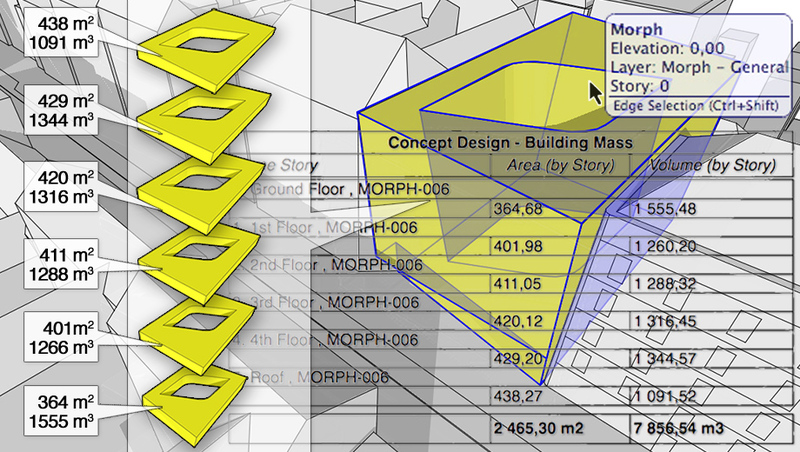 Architects can list the volume and surface area of single Morphs separately by story. This data provides valuable input at the conceptual stage about the useful area of the planned project. Architects can define 3D cutaway sections of the model graphically in the 3D window, using one or more cutting planes in any location. This greatly improves not only the 3D editing processes, but also the visualization of complex models, displaying only relevant parts of the building in the 3D view. From the simplest barrel vaults to the most sophisticated rib vaults, the architect has always aspired to combine durability, utility and beauty. The Shell tool supports the broadest spectrum of architectural shapes and forms found in both classical and modern architecture. 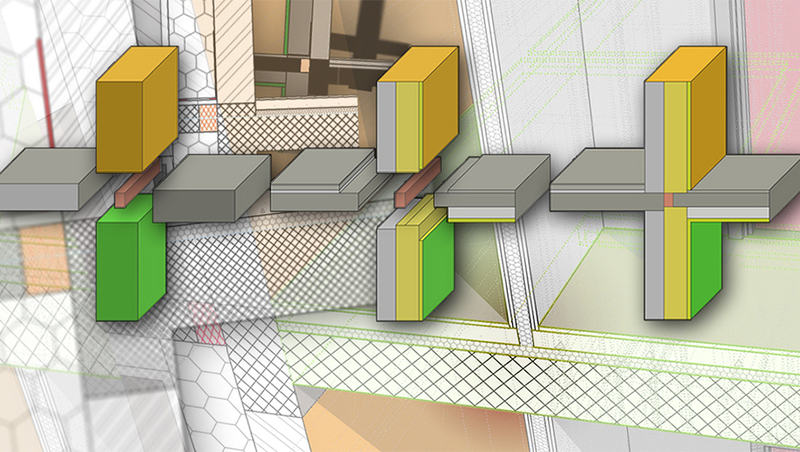 ArchiCAD Start Edition 2014 supports the import/export and data structure of the latest IFC standards. 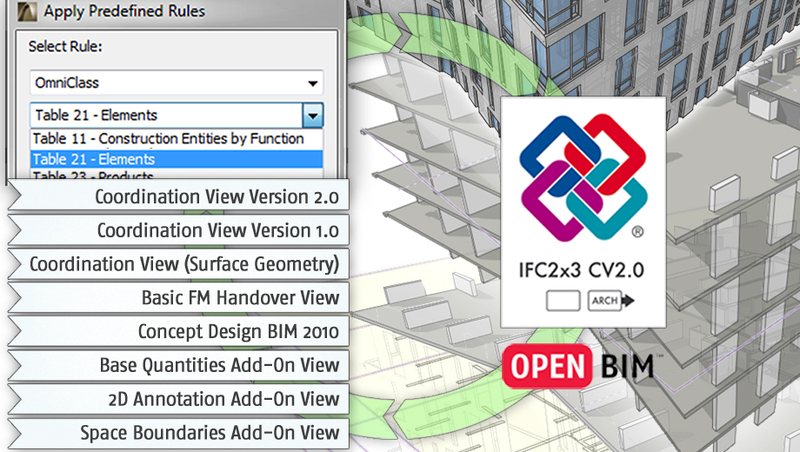 The Open BIM workflow supported by the IFC protocol enables collaboration between architects and engineers regardless of their discipline or the name and version of their application. 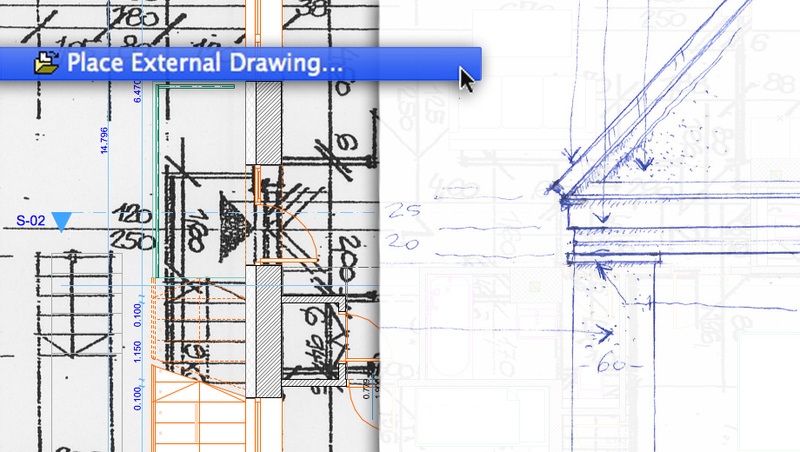 Link PDF, DWG/DXF or Image files in your project from the file menu or with a simple drag & drop and handle them dynamically with ArchiCAD Start Edition 2013.